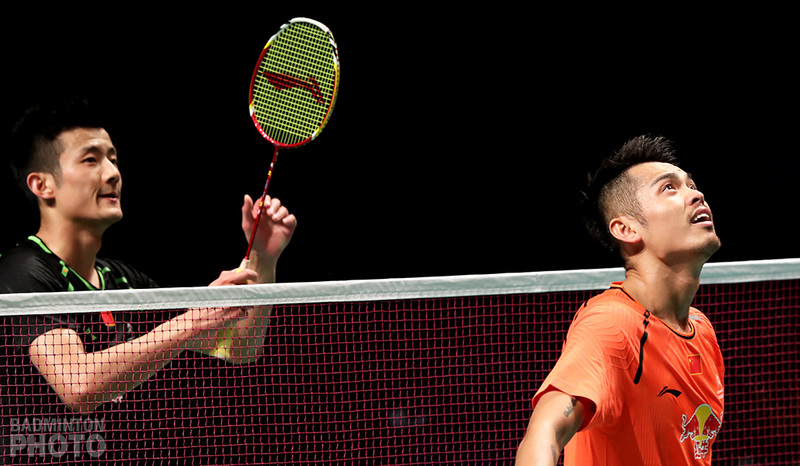 The Superseries takes a 2-week break before the China Open, where the hosts will attempt to add what is so far their smallest ever invitation list for the Superseries Finals as former world #1s Chen Long and Lin Dan are among those still without a ticket to Dubai. Two events remain in the 2017 BWF World Superseries and by finals day at the French Open, six more players and pairs had assured themselves of invitations to the season-ending Superseries Finals in Dubai. 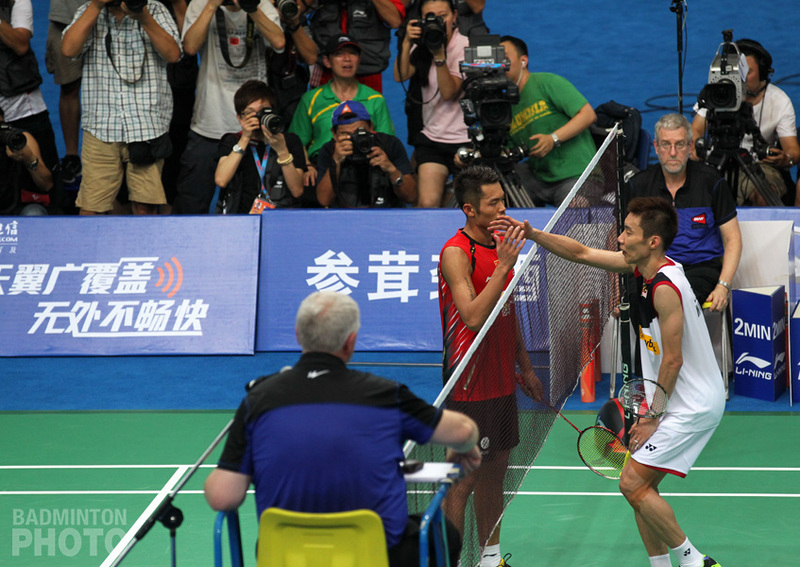 However, in what is still the most wide open of fields, apart from Son Wan Ho, the former world #1s in men’s singles are either long shots (such as Chen Long and Lin Dan, pictured top) out of the running (Lee Hyun Il) or in jeopardy (Lee Chong Wei). In fact, only one change in the tentative top 8 occurred in Paris and it was just a trade between the top two Chinese women’s singles players. In that category, it is highly unlikely that both He Bingjiao and Chen Yufei (pictured above) could both qualify and in all, Chinese shuttlers may well find themselves struggling to stay above an all-time low of 7 qualifiers for the season finale. 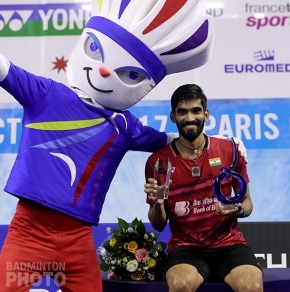 In men’s singles, India’s Srikanth Kidambi (pictured below) is the only one to have mathematically clinched his Dubai ticket. In other words, even if he were to stop playing and current #9 Anthony Ginting were to win both the China and Hong Kong Opens, the Indian would remain safely in the top 8. Once again, the bottom three shuttlers are the ones in the danger zone, with Ginting within 3,000 points of all of them and many other talented players not far behind. 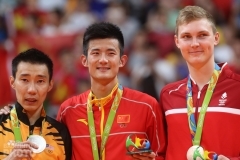 One name that jumps out on this list is Lee Chong Wei (pictured left). The four-time champion has dropped to 8th spot and if he suffers more early exits in the final leg of the Superseries, he could be caught and passed by any number of players in the chase pack. Even more notable are names not currently in the top 8. After sitting out the European leg, 2011 winner Lin Dan has dropped down to #17, nearly 8,000 points off the pace, and two-time champion Chen Long is about 1,000 points further down. 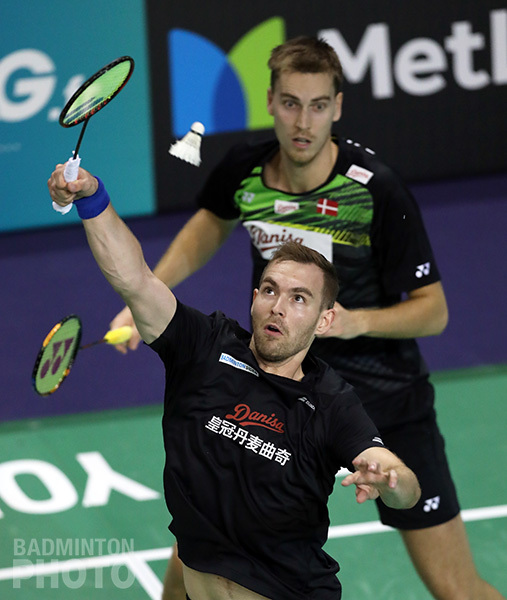 Of course, either player is entirely capable of jumping right back in the game with a China Open title, for example, but they have also appeared quite vulnerable especially in recent months. Even Shi Yuqi is not out of the woods but with a 4,000-point cushion over the current top chaser, he stands the best chance of being one of the few Dubai rookies in the men’s singles discipline. Wong Wing Ki has also been pencilled in for his first trip to the United Arab Emirates but the other ten would-be first-timers are peppered throughout the chase pack. 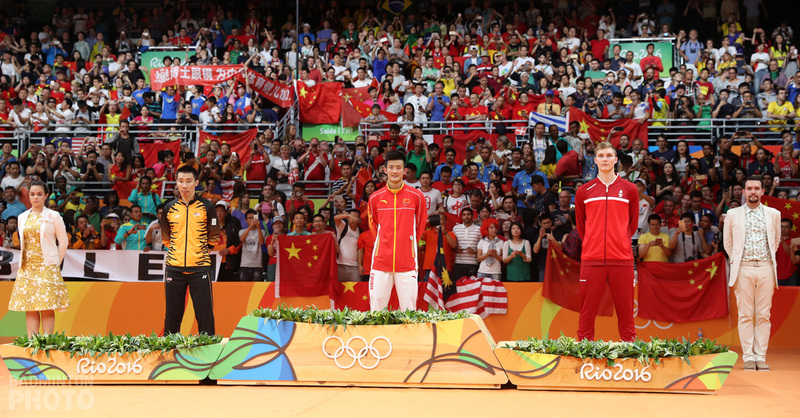 In fact, with Carolina Marin enjoying a margin of more than 10,000 points over Chen Yufei, it is highly unlikely that any but He Bingjiao’s spot will change hands this month. Sayaka Sato is out of the race so the most realistic challenger to either of the Chinese ladies is Saina Nehwal (pictured below). She hasn’t lit the Superseries up so far this year but the World Championship semi-finalist could certainly spring a performance to help her leapfrog Chen and He. Saina will meet the other major contender for snatching 8th place – Zhang Beiwen – in the opening round of the China Open. Then a week later, she is slated to meet Chen in the second round in Hong Kong, where Zhang Beiwen will meet He in the first. Thus it could be that the suspense will be resolved early for that last spot. Men’s doubles is half set. Both Boe/Mogensen and Kamura/Sonoda clinched their spots last week and Li/Liu will clinch theirs by showing up in Fuzhou and Hong Kong. French Open winners Lee/Lee improved their lot but there are still 8 pairs with a mathematical chance of catching them, were they to stop playing. Setiawan/Tan and Mads Conrad Petersen / Mads Pieler Kolding (pictured below) are in the precarious positions but many pairs in the chase pack have been suffering early exits lately. What’s more, the four lead pursuers – led, in turn, py Takuro Hoki / Yugo Kobayashi (pictured left) are all packed into the same quarter at the China Open, along with Kamura and Sonoda so the outcome of this 8-pair playoff may well determine who has the last hope heading to Hong Kong. Women’s doubles is still one of the most interesting races, even though it is nearly set. The fourth Japanese pair may have fallen by the wayside but the top three are likely to keep battling it out for two spots in Dubai. Matsutomo/Takahashi displacing Fukushima/Hirota was the only other change in the qualifier list from last week although all 4 Japanese pairs were and remain in the actual top 8. The current top two are slated to meet in the China Open quarters but even that comes after tricky first matches for both. What continues to be an interesting factor is the sitting duck pair of Jung Kyung Eun / Shin Seung Chan. 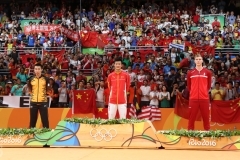 They haven’t competed together since Japan but the three pairs best placed to catch them have World or Olympic Champions ranged against them in the early rounds in Fuzhou. 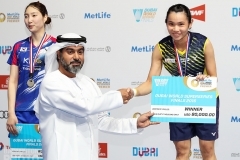 Among these, Korea Open winners Huang Yaqiong / Yu Xiaohan (pictured) cannot advance without beating the Olympic gold medallists in the second round, while Ashwini Ponnappa / Sikki Reddy (pictured below) cannot reach the quarter-final without beating world #1 Chen/Jia. This could open the door for French Open champions Greysia Polii / Apriyani Rahayu (pictured bottom) to catch up. After Shin Seung Chan was unable to hold them back in Paris, the Indonesians will begin their China Open campaign by taking on Lee So Hee in yet another new Korean pairing with Kim Hye Rin. Women’s doubles is also the discipline with the greatest potential for rookie involvement. Of the current 16 pencilled in, 6 would be making first trips to Dubai. In addition, Yuki Fukushima, Sayaka Hirota, Yu Xiaohan, and Apriyani Rahayu are all working on adding to that number. Yu and Rahayu may get the chance to help themselves as well as the Japanese pair as each will get a chance to deal Matsutomo and Takahashi an early defeat in Hong Kong. Mixed doubles sees the top 2 pairs leave the fray and 7 others join it after sitting out France and in some cases Denmark as well. World #1 Zheng/Chen finally clinched their spot for Dubai right before they are disbanded for the last two tournaments. 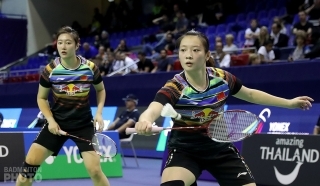 Lu/Huang are also separated but Wang Yilyu and Huang Dongping can only catch the All England champions if they collect the last two titles on the tour. Kenta Kazuno / Ayane Kurihara (pictured) would have been in a much more precarious position at the end of the qualifying list if the top 5 pairs in the chase pack hadn’t sat out the European leg of the Superseries along with them. 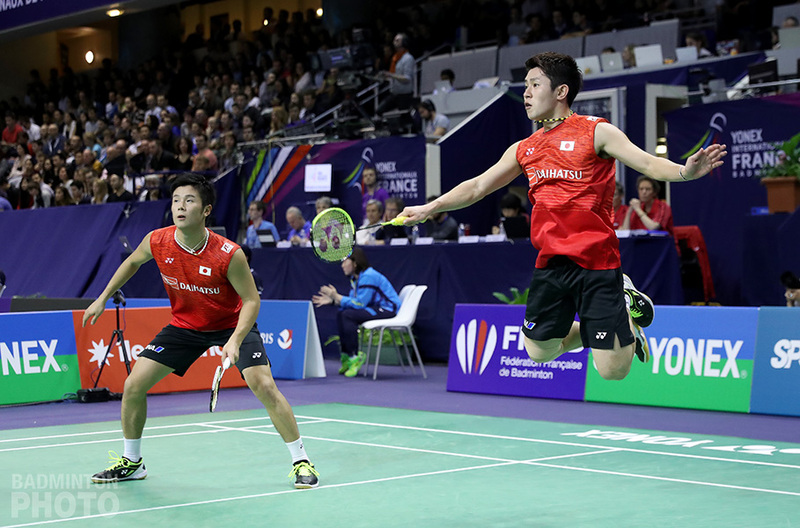 Still, as Goh/Lai and Chopra/Reddy were unable to keep their runs of form going in Paris, only one additional pair – Lee Yang and Hsu Ya Ching (pictured below) – is breathing down the Japanese veterans’ necks. † In the above analysis, I am using a conservative definition of ‘clinch’ – marked on the table in bold, green italics – that entails a top 8 player having enough points to be out of reach of the 9th place player or pair even should the latter win 2 titles and the former be unable to play in the first round in Fuzhou, or Hong Kong. I have shown in bold green the 8 players and pairs who would qualify were the Superseries to end after the first 10 tournaments. I have shown in grey the players or pairs who cannot catch one of the current 8 qualifiers or who cannot catch either of two qualified compatriots. Finally, I have displayed one x for each of the remaining Superseries events a player or pair has withdrawn from or not entered. An asterisk (*) denotes a player who can only qualify by beating out a currently qualified compatriot. 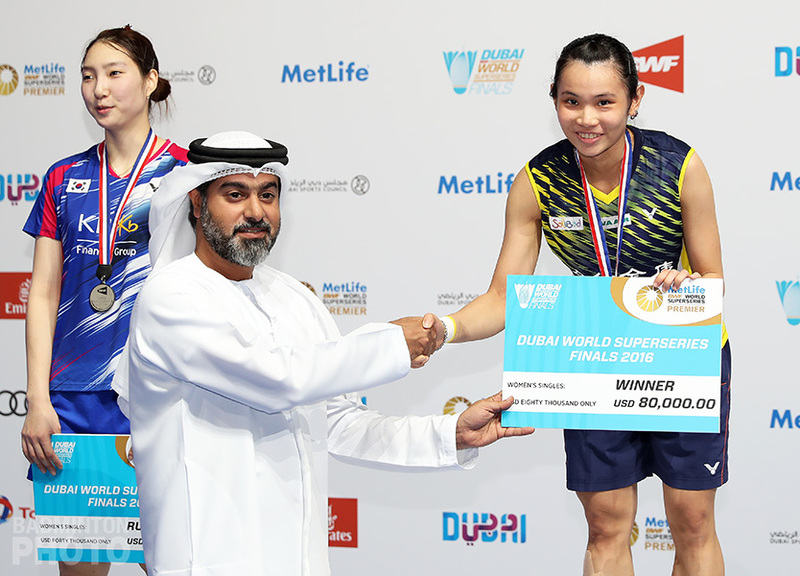 The numbers are based on calculations to include points earned from the French Open but the official Superseries standings will be available later in the week from the BWF. How come in each category only 2 players/pairs of the same country can qualify for Dubai even if more are in the top 8 ? In WD, trading one of the top 3 Japanese pair for Hsu Ya Ching / Wu Ti Jung or Ashwini Ponnappa / Sikki Reddy is, without disrepecting these 2 pairs, clearly not in favor of the show…and in my opinion quite unfair for the left out pair. Co-incidentally those are the three spots India gets as of Nov 2 Rankings….